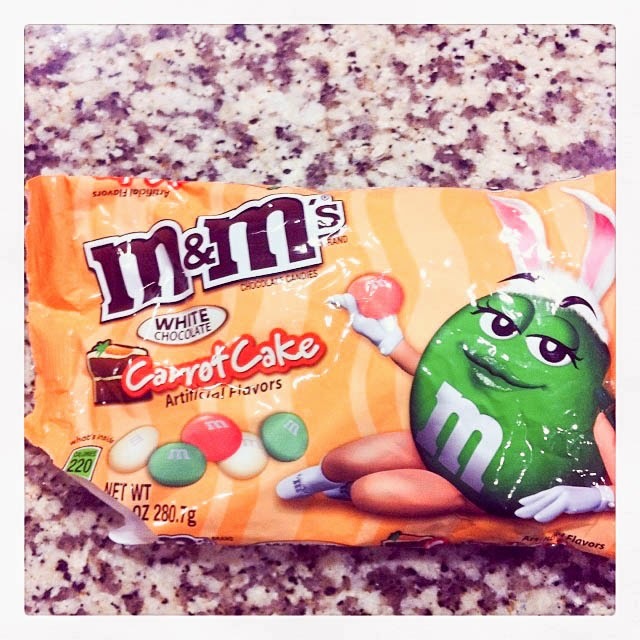 These Carrot Cake M&M's are actually pretty good. They are made with white chocolate and they taste like carrot cake. I know sometimes, flavored M&M's are disappointing in their attempt to mimic a flavor, but these hit the nail on the head. I bought an extra bag to taste test first before adding them to my cookies. My son probably ate about half the bag himself. 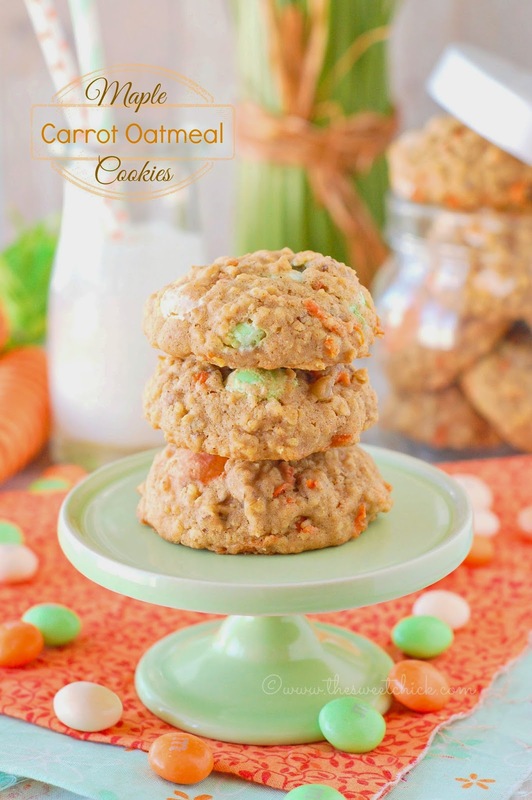 This cookie recipe is adapted from my Honey Carrot Oatmeal Raisin Cookies. If they tasted good with honey, they taste even better with maple syrup. I swapped out raisins for the M&M's and added some pecans I had left over from my Maple Pecan Scones. The cookies came out soft, moist and full of flavor. I love the pretty spring colors of the M&M's. They do bleed out a little into the cookies, but who cares, because they taste so darn good. So now that I turned the big 4 -0, I really don't feel any different. I think having young kids keeps me feeling young. I know most people my age have teenagers around, but I am still chasing around a three year old and my oldest is only seven. So I can pretend I am still in my thirties, right? I'll just keep coloring my grey hair and staying out of the sun so I don't wrinkle. What are your thoughts? With a mixer, cream the butter and the maple syrup. Then add the eggs and mix well. In a large bowl sift together the flours, baking powder, baking soda, salt, cinnamon, and nutmeg. Slowly add the dry ingredients to the wet ingredients and mix until all is incorporated. Then add the carrots, oats and pecans, mixing until well distributed. Drop batter by large spoonful or cookie scoop full onto a greased cookie sheet, leaving 2 inches between scoops. Bake at 350ºF for 15 minutes or until tops are a golden color. Remove from oven and let cool for 2 minutes, then move cookies to a cooling rack to completely cool. 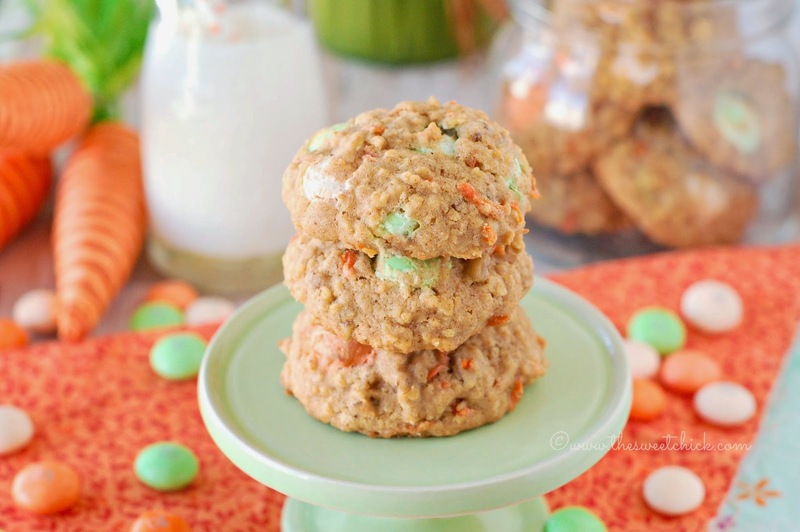 These cookies look delicous! 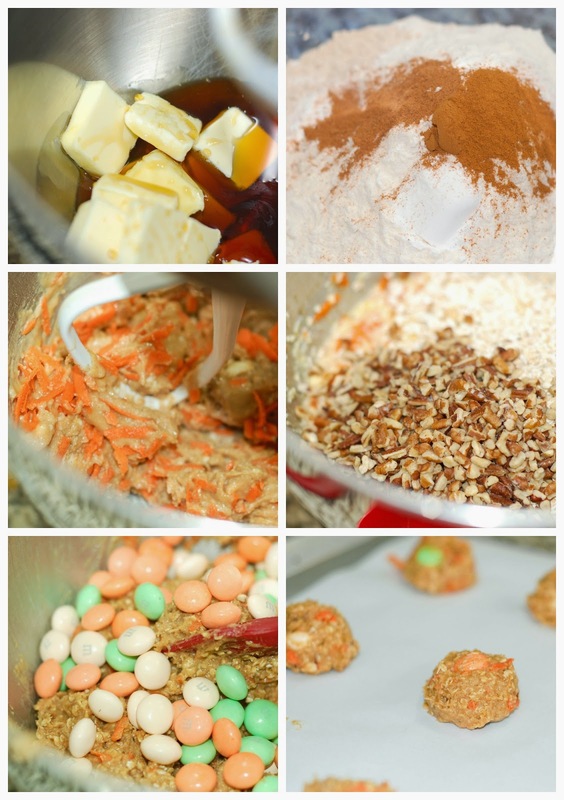 I had no idea that carrot cake M&Ms existed, I need to find some asap!! They are really good! You need to go to Walmart.